This post embraces information for those healthcare startups who want to create on-demand doctor apps like Kry. Herein we’ve curated top three solutions by Kry app that would definitely help you to make a successful app. The market of digital health or mHealth (mobile health) has started to catch up the demand. Indeed, consumers are demanding more than anything. At the present times, this sector is booming and has been disrupted by on-demand doctor mobile apps. However, on-demand doctor apps have changed the way we meet with doctors regarding health issues. Furthermore, “The digital health market is expected to reach 206 billion U.S. dollars by 2020, according to Statista. It seems that the future of healthcare industry is bright. As long as people are concerned, they are more interested to use healthcare apps as compared to traditional healthcare services, according to McKinsey & Company. 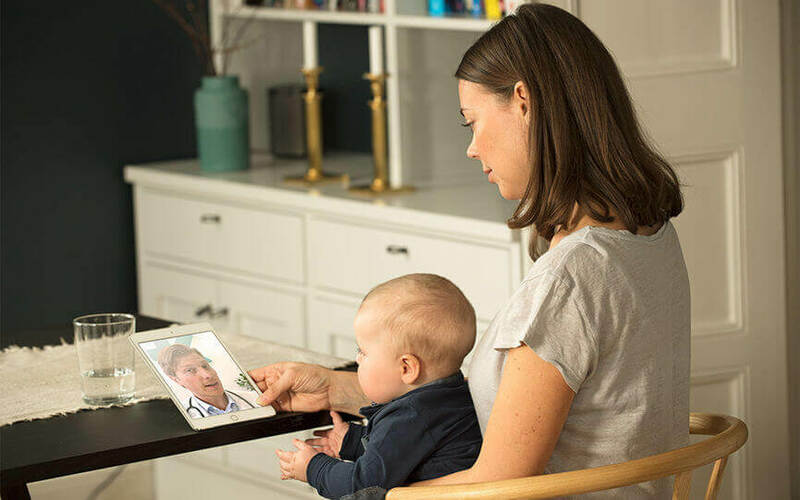 There are a number of other on-demand startups like Push Doctor in the UK and Doctor On Demand in the U.S., who have been booming in video-call-a-doctor healthcare niche. Founded in 2014, Kry app has around 430,000 user registrations to date and approximately 4000,000 patients meetings have been conducted so far. Even, the app has been experiencing repeat consultations from patients. Thus, it is safe to say that Kry app has been going well in the healthcare industry. So, if you are thinking to develop successful video-based telemedicine apps like Kry or Doctor On Demand, then you need to browse following powerful solutions, which are behind the success of KRY app. The on-demand doctor apps are problem-solving for patients. The Swedish-based health startup offers its service to as many patients as possible. The first and foremost thing is to identify the problems faced by patients worldwide and try to provide solutions to their problems through the on-demand solution. While consultations are conducted remotely, via the app’s video platform along with tech-enabled convenience and increased accessibility to qualified healthcare professionals. These mHealth app helps to treat diseases by modifying patient behavior and providing remote monitoring in order to improve long-term health outcomes. There are numbers of people who have been using such service instead of going out to the clinic. In simple words, this on-demand video-call-a-doctor app is actually problem solver for patients no matter where they reside. All top of that, it is important how well you solve your patient’s problem. One of the best-suited solutions is to cater such people, who live in the remote areas or the places where it is not easily possible to visit any clinic easily in the emergency conditions. The key factor behind the success of Kry app is its tech-enabled convenience and enhanced accessibility to qualified healthcare professionals for patients across every region covered by them. The people who reside in the remote areas could not easily find out clinics or physicians to get themselves treated. Through the app, patients can easily get an appointment to check themselves through on-demand video-based consultation services in a fraction of seconds. Apps like Kry proffers a unique opportunity to deliver a much-enhanced healthcare to patients across Europe as well as cut down on overall costs associated with primary care. The app has already become a household name in Sweden and trying to become an integral part of the public healthcare system. Therefore, if you are planning to create the on-demand doctor apps, then consider such solutions in order to cater to users one of the best ways possible. During the video calls, patients may also receive prescriptions for medication, advice, referral to the specialists, lab or home tests with a follow-up appointment with prescribed medication and home tests able to be delivered to the patient’s home within 2 hours. The on-demand doctor apps like Kry has disrupted the market as well as the old tradition. It has also changed the way people prescribed medicines from doctors. Such apps have changed the face of medical sectors. And, mHealth apps are reinventing in a whole new way. 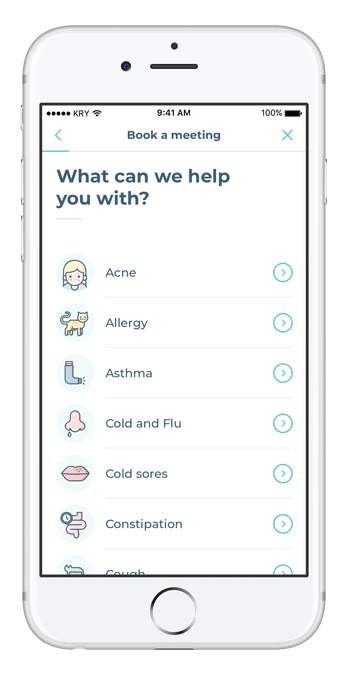 The Kry app provides solutions for patients of all age groups. These doctor on-demand apps are just one step ahead in the direction of a new mobile health experience, and it has taken this sector to the next level. Being a startup, if you have made-up your mind to develop an on-demand doctor app like Kry, then this is going to be the next big thing, which has the capability to disrupt the industry. Well, mHealth apps provide fast and convenient access to patients across the globe where doctors do not need a full physical examination of patients. If you, as a physician, are planning to build video-based on-demand doctor app like Kry, then you need to keep above-mentioned solutions in your mind during mobile app development. Till now, if you are having any app idea regarding on-demand doctor app development or how much does it cost to create telemedicine app, you can discuss with us as we are a leading iOS app development company and have already developed over 50 healthcare mobile apps. In case, if you still have any query or confusion related to on-demand doctor app, just fill-up the below-given form. One of our sales representatives will revert you as soon as possible. The consultation is absolutely free of cost. This page was last edited on November 22nd, 2018, at 7:52. Do Your Current App Compatible with Newly Launched iOS 9.3?